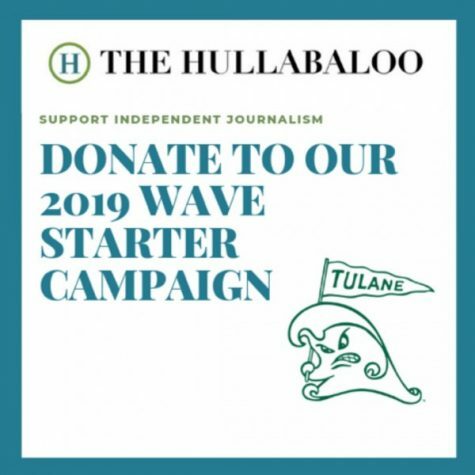 In November a complaint was filed against the Newcomb College Institute claiming the organization discriminated against men on Tulane’s campus. Little attention, however, has been brought to the disparities in Tulane athletics’ allocation of resources in relation to gender. A 2017 report from the Department of Education reflects several systematic differences between hires and salaries of coaches of men’s teams versus women’s teams. Within the Tulane athletics department, there are six positions for head coach of a men’s team, all of which are filled by men. This tendency for male leadership, however, does not stop there. Six of the ten head coaches for women’s teams at Tulane are also men, leaving only four female head coaches across 16 teams in the department. The same trend is seen in assistant coaches. Only one woman works as an assistant coach of a men’s team, and half of the assistant coaches for women’s teams are men. In addition to the sizable difference between the number of male versus female coaches employed by Tulane athletics, there is a noticeable gap in staff salaries. The head coaches of men’s teams earn an average of $183,917 a year, while the head coaches of women’s teams earn an average of only $73,750 a year. Moreover, though no specific salary has been reported for Ron Hunter at Tulane, the recently-hired men’s basketball coach left behind a base annual salary of $500,000 at Georgia State University. Combined, the men’s teams’ head coaches earned a total of $1,103,502, while the women’s teams’ head coaches earned a total of only $737,500, despite the fact that the head coaches for women’s teams outnumber the head coaches of men’s teams. This trend is also seen in the salaries of assistant coaches, with those coaching men’s teams earning an average of $144,526 a year compared to those coaching women’s teams averaging $55,561 a year. The difference between the salary totals is once again staggering, with the assistant coaches for men’s teams earning $2,890,520 combined and the assistant coaches for women’s teams earning $888,976 combined. This sizable disparity extends to players as well. 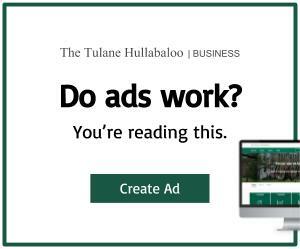 Tulane athletics spent $470,300 recruiting players for men’s teams, but only $176,255 recruiting players for women’s teams. In terms of sports-related student aid, athletes on men’s teams received $7,938,414 combined, while those on women’s teams received $5,283,015 combined. Tulane is not unique in the emphasis it places on men within college athletics. Southern Methodist University, University of Tulsa and Temple University, three other mid-size private schools in the American Athletic Conference, exhibit the same phenomenon. Each of these universities report head coaches of men’s teams on average to be earning over $400,000 more annually than head coaches of women’s teams. The greatest disparity is seen at Temple, where the average salary of a head coach of a men’s team is over $625,000 higher than the average salary of the equivalent position on a women’s team. This emphasis on men’s athletics is reflected in fan bases as well. At Tulane, sporting events for men’s teams tend to bring in more money. The combined revenue for men’s teams in 2017 was $24,158,564, while the combined revenue of women’s teams was approximately half at only $12,195,917. These tendencies among fans are also visible on the national stage. In 2018, the men’s basketball NCAA tournament brought in over 97 million U.S. viewers, 13.15 million of which were for the semi-final games that were broadcast on three different television channels. The same year, the women’s semi-final games, broadcast on one channel, brought in 7.62 million viewers. The disproportionate support of men’s teams within collegiate athletics indicates a larger societal phenomenon. Intentionally or not, many see the sports world primarily, if not exclusively, belonging to men. Women, whether as coaches, athletes, or any other position in the field, continuously encounter barriers, unequal treatment and stereotypes that largely go unnoticed. EXCELLENT REPORTING, LADIES! I ASSUME THE UNIVERSITY WOULD INTRODUCE THE FACT THAT MEN’S SPORTS BRING IN MORE REVENUE, SO THE COACHES “DESERVE” MORE SALARY. I’M SURE THE BOARD OF TRUSTEES TRIES TO DO THE BEST IT CAN FOR THE UNIVERSITY. BUT HOW IS “THE BEST” MEASURED? BY ECONOMICS OR EQUALITY? SO, IT BOILS DOWN TO A PHILOSOPHICAL CHOICE. IT’S OBVIOUS TO SEE THE PATH TAKEN…………..
Am I missing something are are your numbers off? It says here that men’s head coaches make $1,103,502 altogether and women’s make $737,500, whereas men’s assistant coaches make $2,890,520 and women’s make $888,976. That can’t be right? Especially given Willie Fritz makes $1.2 million a year. I think y’all got head and assistant coaches salaries combined mixed up.